After two Cork beaches were forced to close because of suspected agricultural runoff, one group wants a cattle buffer zone around bodies of water. 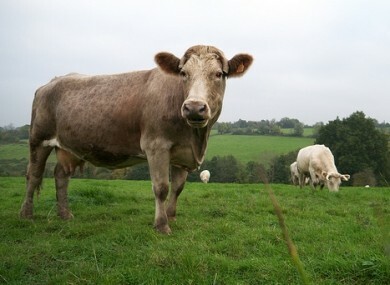 FRIENDS OF THE Irish Environment (FIE) has called for areas around streams, rivers and lakes to be kept free of cattle. The group made the calls after two Cork beaches were closed because of higher than normal levels of enterococcus and e-coli. A spokesperson for Cork County Council told TheJournal.ie that the recent wet weather may have caused agricultural run off into streams, contaminating the water at the beach. The beaches at Kilcrohane and Tragumna were expected to reopen in the coming days, but the West Cork-based group said that the two incidents, along with a closure of Fountainstown beach in June, highlighted a need for buffer zones. “Climate change suggests that we will be liable to more flooding events in the coming years, exacerbating the problem of faecal contamination of not only our best beaches but of Ireland’s reputation as a safe and clean holiday destination,” said Tony Lowes, spokesperson for FIE. Under current regulations there is no exclusion zone for cattle from our rivers and streams and lakes. They are allowed to enter water bodies and contaminate the water with faeces that may contain not only E.coli but cryptosporidium. However, Harold Kingston of the Irish Farmers Association said that the idea was “divisive and inaccurate” and said that it would put “farmers versus local authorities”. Kingston told RTÉ’s Morning Ireland that farmers are not totally opposed to the idea, but feel that 10 metres is too large a buffer and in some areas, a buffer will not work. Email “Call for 10-metre cow-free zones around streams, rivers and lakes”. Feedback on “Call for 10-metre cow-free zones around streams, rivers and lakes”.